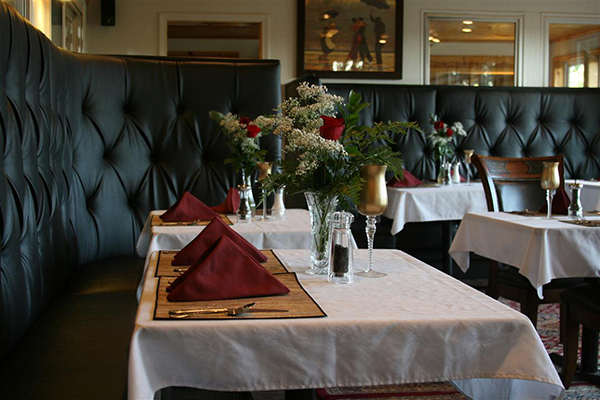 At the Baron of Beef Restaurant you will have a dining experience second to none. Four chefs with world wide experience will give you a five star culinary treat. All of our dishes are prepared with the freshest of ingredients. 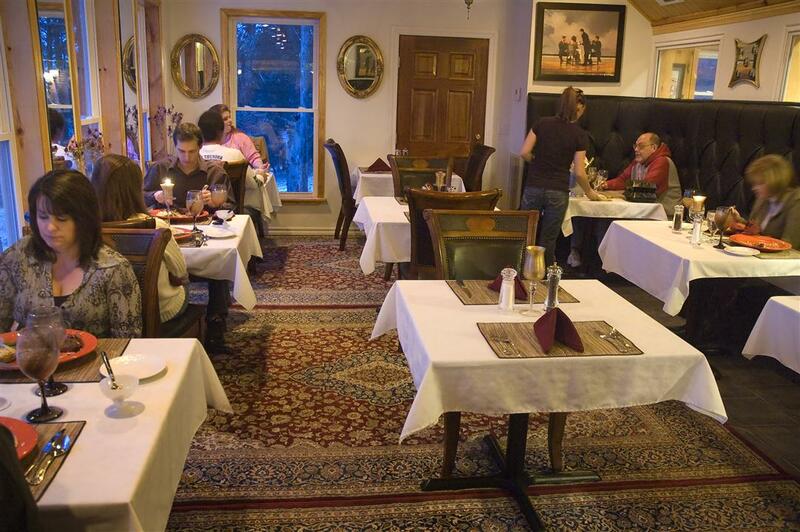 We serve ONLY “prime” cuts of meat and everything is of the best quality. We use fresh herbs from our gardens to subtly enhance the flavors of your triple entrée four-course candle light dinner while you dine in elegant style overlooking the Echo Canyon from your private table. All Dinners include mixed green salad, stuffed potato, fresh vegetables, and fantastic desserts with a fresh Peach Hibiscus drink (made with Echo Canyon peaches). Every Evening is a set triple entree dinner. Vegetarian or Vegan options are available upon special request. Outside Dinner Club Guest $79.00 per person. * Kobe Beef 6 oz./8 oz.~~~~$20/$30 extra. 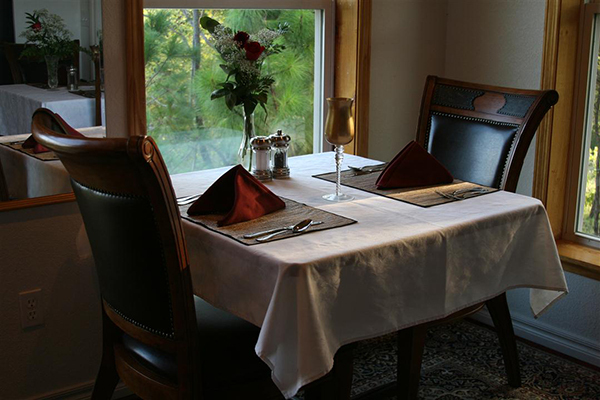 “The food was absolutely delicious and the room was lovely.”……Larry & Kate S.
“The best place for food and lodging is an understatement”…….J. H.
“Come for the food & the view, but don’t forget to hike the grounds……”Jim & Teresa K.
“One of the top 3 meals I’ve ever eaten..”……Stan G.
“This is the most glorious steaks I’ve ever had.”……Nichole V.
“I want your recipes.”……..Heather D.
“Your breakfast carried me through the whole day.”……..Alex D.
“Wow, I’ve never had such a super breakfast.”……..Brad T.
“Please tell me how you got those flavors, they’re wonderful.”…….Hillary A. “The most incredible dinner I’ve ever eaten and I’ve eaten all over the world.”…….Brian C.
Carol Ann Van Horn’s very own recipes are available and are healthy, low fat and diabetic friendly. I have never actually spent the night at Echo Canyon, but was so impressed by their food that we have gone back there several times just for dinner because it is literally worth driving an hour. Pricey, no doubt ($70 pp if not staying there) but unfailingly excellent in every way (and huge portions - we took our dessert and the majority of our filet home and ate it cold for breakfast and dinner the next day). The pesto they serve with the bread is amazing!! Everything is homemade. A great choice for a special occasion.